The Legislature's new plan to arm school employees as a last line of defense to an active shooter might never get tested in Florida's biggest school districts. Officials in 10 of the state's largest systems, which educate nearly 60 percent of all Florida school children, said they have no intention of giving teachers or other staff guns to carry into classrooms. "I believe the people carrying weapons should be law enforcement officers and not our employees," said Seminole County school superintendent Walt Griffin, echoing comments of his large-district peers. "I do not support our hard-working teachers having the responsibility of carrying a weapon." The Broward, Duval and Hillsborough county school boards adopted formal statements Tuesday opposing the idea of arming school personnel, and calling for adequate funding to support sworn officers in the schools instead. A day earlier, Miami-Dade superintendent Alberto Carvalho made clear his district's position, saying anyone who thinks arming educators is a solution is "absolutely out of their mind." "What's the liability on that?" Pinellas board chairwoman Renee Flowers asked in an interview. "We're here to educate our students. Everyone has their own area of expertise. Cafeteria workers, maintenance people, librarians. … That's not what they were hired for." Among the state's 12 biggest districts, only Brevard County leaders are seriously considering a proposal to arm school staff, though district spokeswoman Jennifer Wolfinger noted, "We haven't agreed to it." Lee County district leaders have not taken any public position. 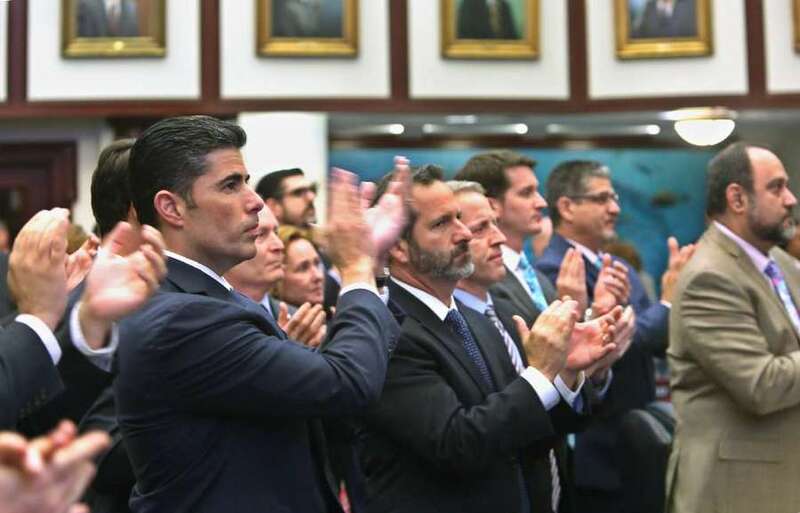 In debating the "school guardian" program, which quickly became the most controversial part of the Legislature's response to the Feb. 14 massacre at Marjory Stoneman Douglas High School, lawmakers stressed that local officials would decide whether to implement it. The House approved the measure Wednesday, after narrow passage by the Senate on Monday. "Please take comfort that this is just an option," Rep. Rick Roth, R-Loxahatchee, said during debate. Sponsors also repeated several times their intention to disqualify the "vast majority of teachers" from wielding weapons, after Gov. Rick Scott said he could not back a plan to arm teachers in particular. But the wording within the bill led many school district officials and teacher advocates to wonder just how true those comments might be. 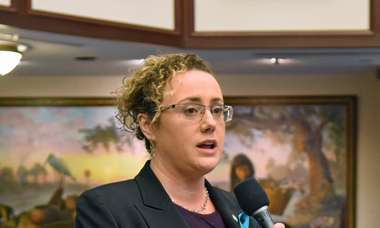 Andrea Messina of the Florida School Boards Association noted that one section of the measure requires school boards and superintendents to partner with law enforcement agencies to provide at least one "safe-school officer" at every school facility, using any combination of three options. Those would be school resource officers, district school safety officers (such as its own police or security force), or gun-carrying school "guardians" — trained district employees. Districts that have money to cover the more expensive options, such as resource officers, could do so. But those with tight finances might find themselves backed into a scenario where they can afford only the guardian option. That's why many school districts, such as Pasco County, have begun reviewing how they can funnel as much new revenue as possible into the school safety mandates coming from Tallahassee. Statewide, districts need about 1,550 more officers to cover every school, at an estimated cost of more than $115 million, according to a survey by the Florida Department of Education. Many officials have suggested the money proposed to add resource officers to schools would not be enough, while the amount pegged to the guardian program could be three times as much as could be absorbed. 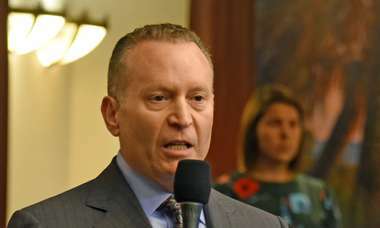 The Florida Sheriffs Association and others recommended taking about $45 million of the proposed guardian funding and applying it to additional resource officers, a move the Legislature did not make. In some circles, that decision to leave the funding separate and untouched raised speculation that lawmakers might be giving Scott an out. He cannot veto portions of legislation, but he can veto lines in the budget. Scott declined to give any hints about his plans for the bill during a news conference Wednesday. Meanwhile, state Sen. Gary Farmer, a Broward County Democrat, raised questions about the language chosen to protect teachers from being armed. The bill would exclude "individuals who exclusively perform classroom duties as classroom teachers." "This means that if a teacher performs any additional service on behalf of the school, he/she will be allowed to carry a gun into a classroom," Farmer said in a statement. "If a teacher is also a coach, or the moderator of a club, as is often the case, they would be allowed to carry a firearm at a school." And that's potentially a lot of teachers. Kim Davis, a Pasco County high school principal, said every teacher on her campus has some sort of duties outside of the classroom during the year, such as hallroom supervision. The Florida Education Association, meanwhile, released a list of several instructional positions, such as librarians, guidance counselors, visiting teachers and school psychologists that it said could qualify as armed guardians under the bill's current language. Seeking to head off those interpretations, Sen. Bill Galvano, R-Bradenton put forth an explanation of the bill's language. "There are some administrators, other types of school personnel who are not classroom teachers all day long but … they may have an hour or two in the classroom. They are not exempted if they so choose to volunteer to participate in the program," he said. In contrast, he added, teachers like the ones Farmer mentioned, who are involved in extracurricular activities, are exempted. Galvano said coaches would be allowed to participate in the program and be armed, one of the reasons the guardian program was named after Aaron Feis, the football coach at Marjory Stoneman Douglas High who was killed protecting students. But a math teacher who coached soccer on the side, for example, could not. A handful of smaller school districts, such as Putnam and Lake counties, have signaled a willingness to consider recruiting school guardians. And leaders in the larger districts said they wouldn't begrudge them that opportunity. "This could be a legitimate idea for them to consider," said Chuck Shaw, chairman of the Palm Beach County School Board. "Districts are doing this already," Galvano said. "Say we did nothing, programs like this in different parts of the state are going to get legs and continue. … At least now we know there will be 132 hours of (firearm) training. There will have to be diversity training. We are creating standards." Times staff writer Colleen Wright contributed to this report.